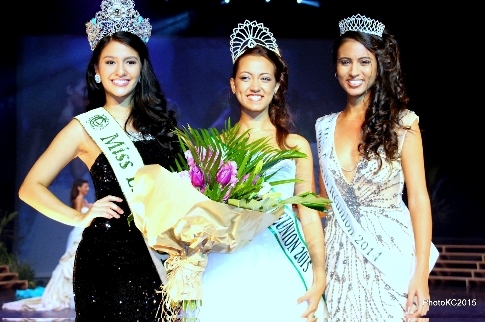 Jade Soune Seyne (center) was crowned Miss Earth Reunion 2015 on July 25 at Téat de Champ Fleuri in Saint-Denis. Her court includes Prescilia Pierret (Miss Air Réunion), Coralie Blanco (Miss Water Réunion) et Océane Cesar (Miss Fire Réunion). Seyne will now compete in 2015 Miss Earth pageant to be held in Vienna, Austria on December 5th. 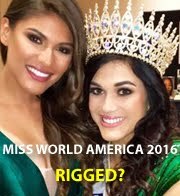 The current Miss Earth Jaime Herrell assisted in the coronation.